Wedding magician on a Wednesday? Why do people keep getting married on week days?! Today, at 13:00, on 13th September exactly 13 years since Maria & Neil got engaged, they got married! Perhaps unlucky for some, but obviously not for today’s lucky couple at the Best Western Burn Hall Hotel in Huby just North of York! 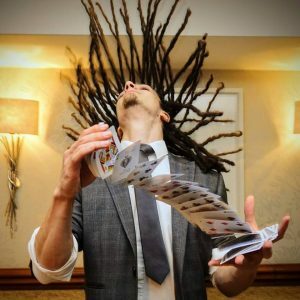 So, the first piece of close up magic I started with was making their signed playing card, which was thoroughly shuffled back into the pack, appear exactly 13 cards down from the top of the pack, a little bit of a personal touch which gained a round of applause before continuing with some other special bits of wedding magic for the bride and groom and proceeding to blow their minds! I then mingled my way around each group of guests as some after dinner entertainment to fill in the gap between the wedding meal/speeches and the evening reception. The guests were a great laugh, with plenty of jokes and banter, which is always good fun! As always, my magic using playing cards, borrowed cash and coins, finger rings and other objects went down a storm. That has to be one of the main benefits of what I do – as well as the awesome entertainment as it’s happening live… people continue talking about it for hours, days, weeks and even years to come! 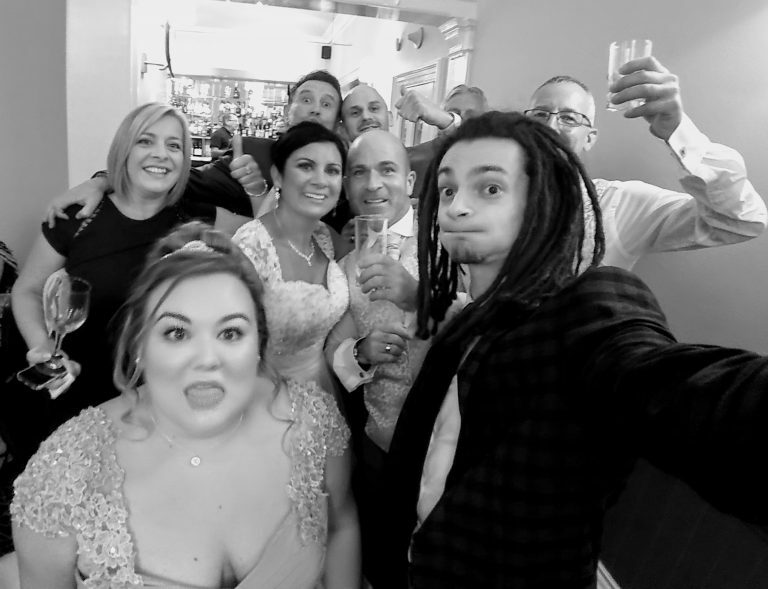 So, big congratulations again to Maria & Neil! 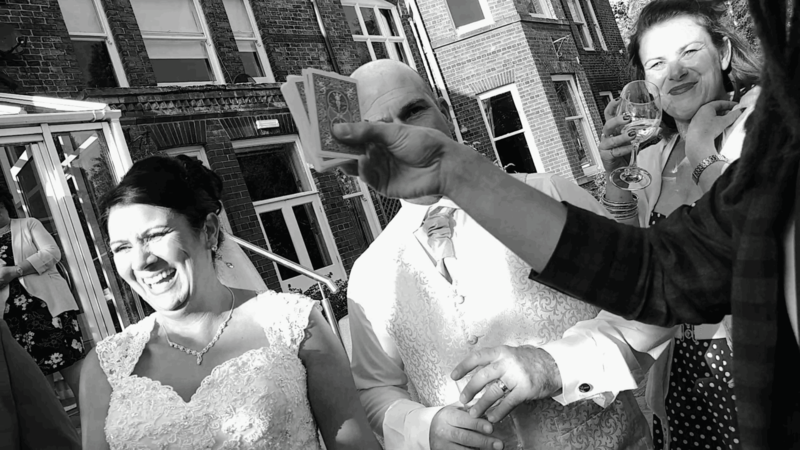 I’m always happy to help with any wedding magician enquiry!